OK, now I’m going to tell you something that is probably contrary to what you have heard elsewhere. Whatever your skill, craft, or art is, I think you should go out and buy the finest tools for that art that you can afford. A lot of people disagree. I have heard people say if you are a writer you should just use cheap pens and cheap notebooks. That if you invest in a fancy notebook it will make you feel nervous to write in it, because it is so fancy. Humbug! If you are so timid that you quake to write in a fancy notebook, then you probably shouldn’t be writing in the first place. I am not saying you have to spend hundreds of dollars on gear and equipment in order to get things done. I am saying that you should respect the tools of your trade and get the best ones that you can find. A musician needs a good instrument, a painter needs good paints, and so on. I buy the best pencils and paper I can find. I order a box of a dozen Palomino Blackwings every few months and I refuse to write with anything else. They cost a bit more than a regular pencil, about $1.50 each I think, but it’s worth it. The line is nice and dark, easy to read, and yet somehow easy to erase if need be. Something about the lead in these pencils makes writing with them smooth, almost buttery, like the pencil has been well-oiled. 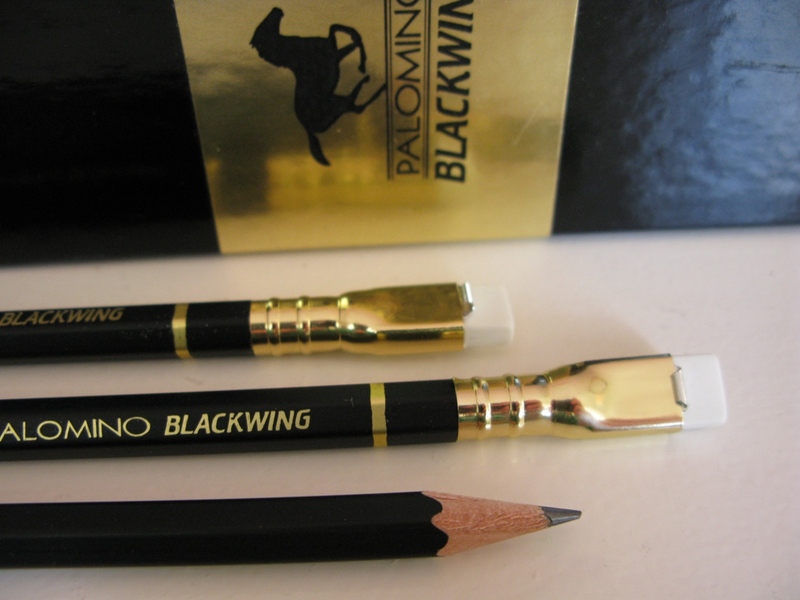 The great thing about the Palomino Blackwing is that it is pretty much the nicest writing pencil in the world, but you can afford it on minimum wage. Bill Gates and Jeff Bezos can’t buy a better, more functional pencil. 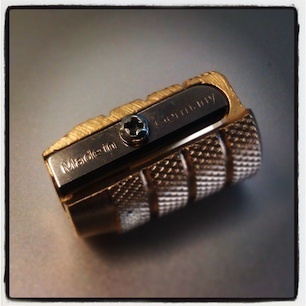 (They could get like a diamond encrusted pencil or something, but that’s just stupid.) At the end of the day, it is still just a pencil. The black 602 Palimino is the classic and looks the coolest, but the lead in the white Blackwing is the best for writing. Paper: I have yet to find the perfect notebook. The giant, rigid Moleskines seem a bit much. There is a difference between using something of good quality and being ostentatious about it. I do like the small Moleskines notebooks for jotting ideas while taking walks, but for my day-to-day writing I need a large notebook with plenty of elbow room. 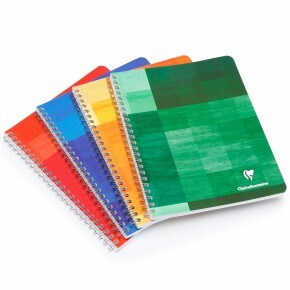 Lately I have been using the Clairfontaine spirals and they are great. A bit larger than most notebooks, they give you space to stretch out. They are nice and sturdy, I can fill a notebook completely up without it becoming tattered and dogeared like a cheap spiral often does. The papery is velvety, buttery, but still crisply legible and it doesn’t smear at all. Lovely! They go for $12 bucks a pop which is a lot more than a cheap notebook, but since it takes many days to fill a notebook up completely I think it’s worth it. I also really like these german made brass pencil sharpeners. Again they are a little bit more than a cheapie version of the same thing, but hey it’s like 5 bucks. I want one for every pocket and desk drawer I have. 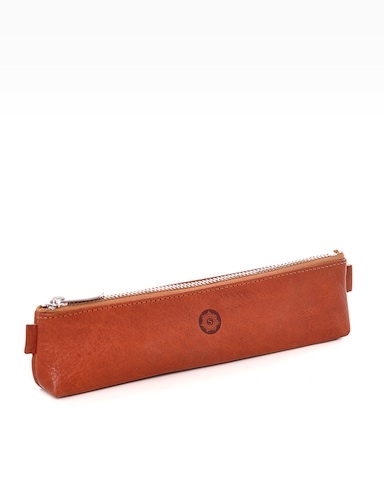 I am also thinking about investing in one of these fancy little leather pencil cases . . . which I know is getting a bit fetishistic about it. But that’s kind of the point. Of course you should tailor your fine tools to match your endeavour. If you prefer to type then get the best typewriter, or keyboard you can. If you a painter get nice brushes, a carpenter get a good hammer et cetera. Whatever your craft is, you want to do it as well as you can, you want to master it, so why not use the best tools available? When you work with tools that are well crafted, it reminds you to take your art seriously, and it makes the pursuit of your enjoyable on a tactile and aesthetic level, rather than just an intellectual level.